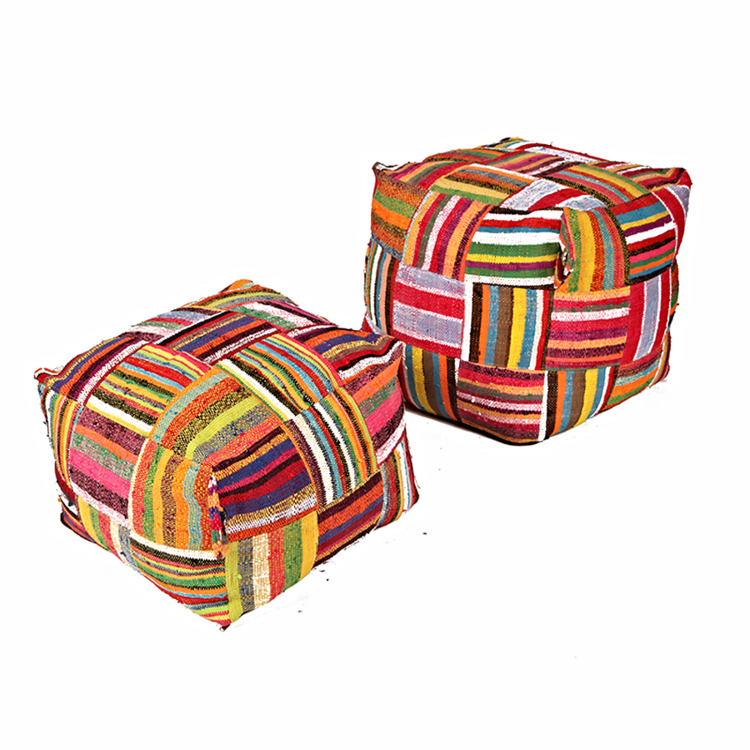 Ashanti Design's hand woven bean bags are a perfect combination of style and comfort. Like all Ashanti products, the colors and the patterns are selected in the moment, making no two truly alike. Look at the styles below and find the kind that speaks to you. The Bori Bori bean bag is a cylindrical bean bag that comes in 3 different sizes: jumbo, large, and regular. 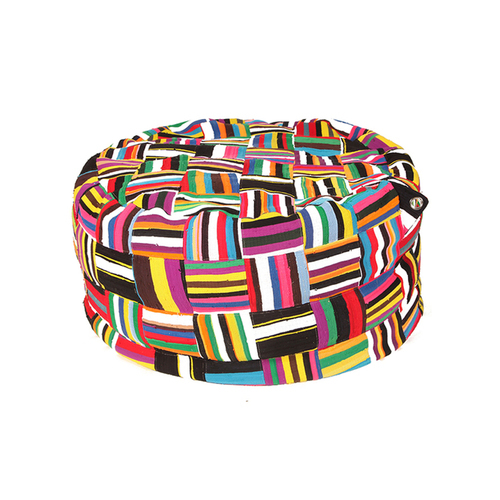 The Bori Bori is a classic, colorful bean bag that'll add style to any space in your home. The Ejoro bean bag is a cube bean bag that comes in two different sizes: large and regular. 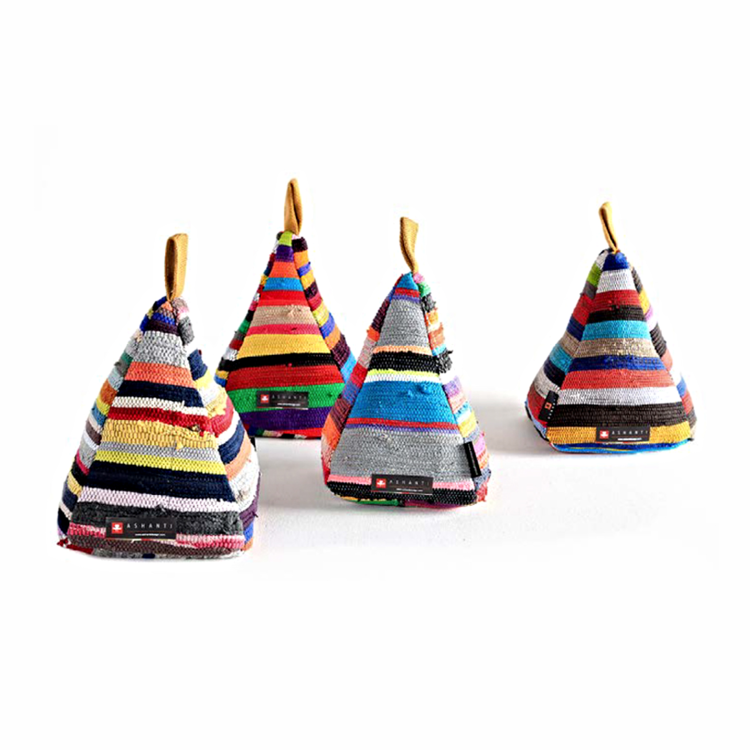 The shape of these modern bean bags make them easy to grab and toss around, and complement any living area or office. The Mahitzi bean bag is a pillow bean bag that comes in one size. If you're looking for a bean bag that's a bit longer and a bit more relaxed, the Ashanti Design Mahitzi is the choice for you. Ashanti has a whole selection of designer furniture, bags, pillows, and home accessories.